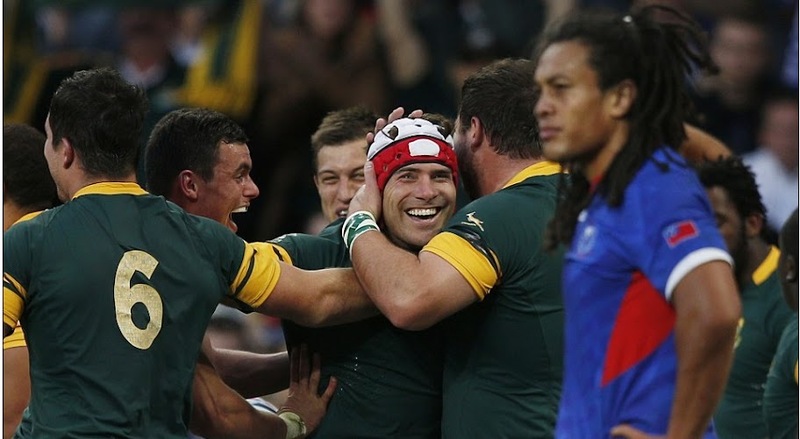 South Africa defeated Samoa in their second group game with a bonus point and a 46-6 scoreline to put smiles back in South Africa rugby fans. It was pretty much a once sided affair where Samoa had to make 160 tackles while South Africa only made 86. Having lost the opening pool match against Japan, South Africans were under massive pressure but they turned up and demolished Samoa in what was a very one sided affair. 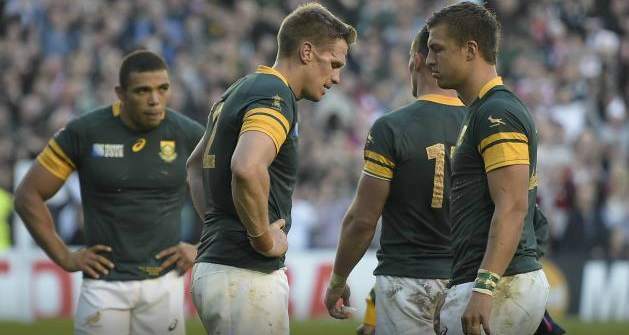 After the win South Africa are now second in the group behind Scotland who won their game against USA on sunday. Even with the opening fixture defeat against Japan, South Africa has their destiny in their own hands with games against USA and Scotland to come in next weeks time. If South Africa can get wins in both remaining games they will qualify regardless of other results in the group. SpringBoks vs Samoa Preview: South Africa will welcome back Duane Vermeulen and Willie le Roux in the starting lineup alongwith Fourie du Preez and Handre Pollard who will also start the match against Samoa. Eben Etzebeth is also expected to take the field in the midfield for South Africa. This is a must win game for Springboks after thier defeat in the hands of Japan. Samoa on the other hand won their opening fixture agains USA but their performance could have been better and coach Stephen Betham was not so pleased with what was a very underwhelming performance from a talented Samoa side. Samoa will take heart from South Africas abismal form at the moment with Springboks only winning 1 of the last 5 matches and their confidence must be shattered after that Japan defeat last week which pretty much shook the rugby world. Samoa will go into the game as underdogs and they won’t have much pressure on them compared to South Africa and a win here would go along way for both sides chances of qualification to knockout stages. We will have live action, updates and match highlights right here on this page.